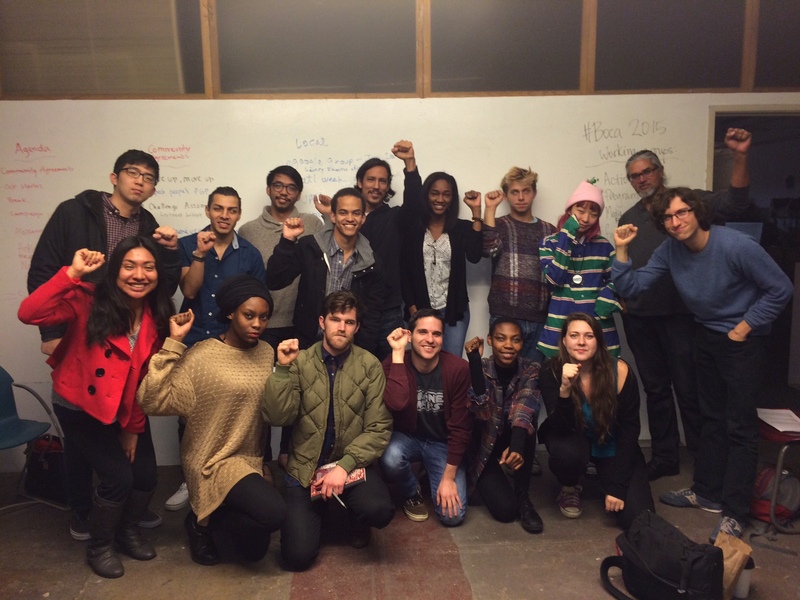 On Saturday November 15th students and community members from the Northeast gathered in New York City to strategize around prison divest campaigns to proactively confront mass incarceration and deportation. Students and faculty from CUNY, Skidmore College, Columbia University, NYU, Brown University, and the New School participated in planning sessions to move forward university divestment efforts. Community groups and unions including the United Federation of Teachers, Detention Watch Network, United We Dream, Milk Not Jails, Migrant Power Alliance, Immigration Equality, the New Sanctuary Movement, ICE Free NYC, Responsible Endowments Coalition, and Enlace developed plans to stop prison expansion and criminalization of communities of color. Together university and community groups created frameworks to work at the intersection of criminal and immigration systems using prison divestment as the strategic campaign at the crossroads.